Contemporary mushroom knob by Richelieu. Versatile design fits beautifully with any kitchen or bathroom decor. This Richelieu round knob adds an eclectic look to kitchen or bathroom drawer fronts. Paint it, stain it or leave it au naturel to suit any style of home dicor! This mushroom-shaped Richelieu knob will complement any classic dicor. Features subtle border embellishment on the head and base for a touch of style! This classic knob pairs a sophisticated oversized bead with a stepped base to add a touch of refinement to your cabinetry. 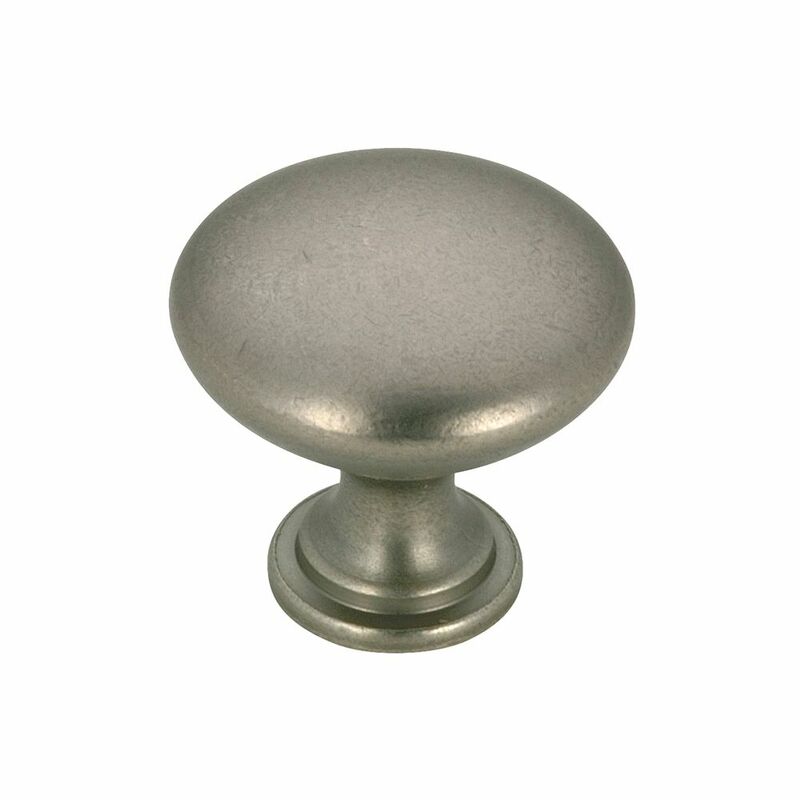 Classic round metal knob with rich border detail. Classic style and finish makes it an easy fit for any dicor. Contemporary Metal Knob 1 3/16 in (30 mm) Dia - Pewter - Copperfield Collection Contemporary mushroom knob by Richelieu. Versatile design fits beautifully with any kitchen or bathroom decor.